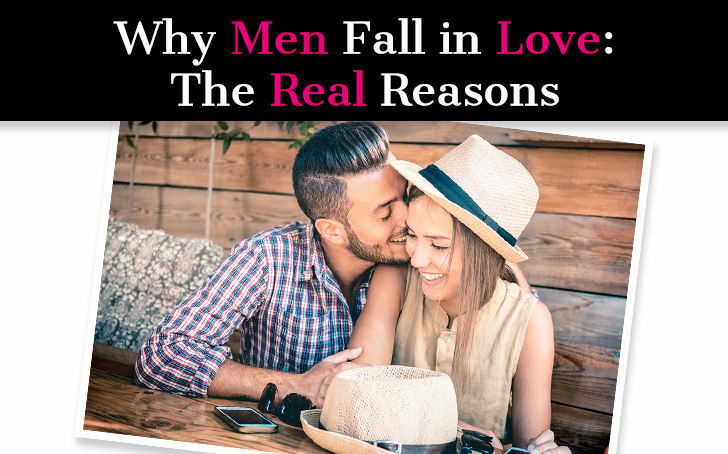 Before we talk about what makes men fall in love, let’s talk about what doesn’t. Men don’t fall in love with women who make them chase. This may capture his interest initially, but it gets old very fast. Men don’t fall in love because you’re the “perfect” girlfriend. It’s not because you always look perfect and cook him his favorite foods and never challenge him or argue with him. Men don’t fall in love with women who worship them. Men don’t fall in love because of the things you say or do. It’s not about acting a certain way, it’s about being a certain way. It’s about who you are. Like I said earlier, it’s not about meeting requirements on a checklist. Sure, every guy has his preferences, but he can date a million girls that check all the boxes and still not find anyone special. There is something different about women who make men fall deeply in love. 1. He feels seen and appreciated for who he is. Men are absolutely starved for appreciation. You may not realize it because he probably doesn’t come right out and ask for it, but you’ll see the effect it has on him when you show him genuine appreciation. He lights up, he becomes warmer, more engaged, he starts doing more for you. And you know what happens when a man gives to you? He invests in your and comes to love and cherish you even more. Appreciation is what reaches a man at the deepest level. It reaches him at his core and softens him, hitting that elusive male emotional hot zone. It’s not just about saying “thank you” every time he does something nice. It runs deeper than that. It’s about seeing and appreciating the person that he is. It’s not about his surface-level accomplishments, it’s about who he is underneath all the externals. Most of us don’t share our real selves. We hide it behind facades and filters. When you can connect with him at that core level, then you become a woman who is different from all the rest, a woman he bonds with on the deepest level. A man will never stay in a relationship where he feels like a loser. It doesn’t matter how stunning or amazing the woman is. Men need to feel like winners. This is what drives a man. This is what explains all of his behavior pretty much. Most men have a mission in life. What makes a man feel happy, charged, and alive is if he’s in pursuit of that mission. If a woman brings out the best in her man and inspires him to be his best self, giving him the confidence to know he can achieve anything he wants, he will never want to let her go. Men love a happy woman. And men really love making a woman happy. It goes beyond being a preference, a man needs to know he can make the woman he’s with happy. Men bond when he can successfully make a woman happy. If he doesn’t feel like he can make you happy, he won’t want to be in a relationship with you. Now he’s not going to get it right every time. And men aren’t usually very good at picking up on clues and nuances, so don’t sprinkle crumbs around and expect him to figure out what they’re supposed to mean. You can help him fulfill his drive to make you happy by simply telling him what makes you happy. Don’t set him up to fail, set him up to win. Like I said, men need to feel like winners! All it takes is something as simple as saying, “I really love it when you call me randomly in the middle of the day. It makes me feels so loved.” Do this, and all of a sudden you’ll be getting daily calls in the middle of the day! The worst thing you can do is have expectations and then punish him or get angry when he doesn’t do what you want. Would it be more romantic for him to read your mind and instinctively know exactly what it is you need? Sure, but that’s not reality. I know one guy in particular who dated pretty much all the women in Manhattan. He seemed to be destined for a life of eternal bachelorhood so everyone was shocked when he got really serious with a woman… and even more shocked when he proposed! And I simply had to ask what made her different from all the rest. He told me he looked forward to spending time with her more than he has ever looked forward to spending time with a woman. He was never all that excited about the others. Sure they were great and all, but the one she chose had an energy that was different. She was radiant and positive and he just loved being around her. If you’re an ANM reader, you’ve heard this phrase many times over: men move toward what feels good. It’s really as simple as that. When it feels good to be around you, he wants to be around you. This doesn’t mean you’re never allowed to be sad or in a bad mood. It means overall your mood and vibe are positive. Overall, it feels really good to be around you. You have a warm, inviting presence that makes people feel relaxed and at ease. To have a great vibe (you could also call it your “energy” or “way of being” or your “charm” whatever term most resonates with you! ), you need to understand that how you come across people is a reflection of how you feel on the inside. It’s not even about what you say, it’s your overall mindset, the things you think about privately. Your thoughts affect your emotions and your emotions affect your facial expressions, body language, tone of voice, etc. And we have thousands upon thousands of thoughts all day long. That “soup” of constant thinking and having emotional reactions to our thoughts manifest in an immediate “vibe” other people can sense off of you immediately. When you’re in a great mood, you give off a great vibe to others. When you’re in a loving mood, you give off a warm, loving vibe to others. People can’t read your mind or know what you’re thinking, but people can definitely get a sense of whether you’re someone who thinks joyful, loving, positive thoughts or nasty, vindictive, hurtful thoughts… or worrisome, fearful, paranoid thoughts… or anxious, tense, stressful thoughts, etc. When you feel great on the inside, it radiates outward. And the more pure and undisturbed your great mood is, the more strongly that amazing vibe radiates out from you. Like I said, it doesn’t mean you’re never allowed to be in a bad mood. Bad moods happen to the best of us. And there are going to be times you have a bad reaction to something. This is part of the human experience and no, I don’t at all expect you could live a life where you’re never in a bad mood and never have a bad reaction. I’m not saying you can never have a bad reaction to something … I’m saying don’t feed into negativity. That means, don’t go seeking out drama (whether it’s TV drama, social media or drama in your real life). Don’t feed into negative thinking. Don’t feed into angry thinking. Don’t feed into fearful thinking. The bad reactions happen… but everyone and anyone can choose whether or not they’ll feed into the negativity from that point forward. You have a choice and you don’t need to feed into it. This doesn’t mean you put up with bad treatment either. If there’s a change that can be made in the outer world of your life and conditions, you can make it. But on the inner level, keep your mood great and what you choose to focus on pristine and positive. 1. Understand your mood is your vibe, and being in a great mood will automatically give off a great vibe… so make being in a great mood your #1 priority and starting point to improve and maintain a great love life. 2. You can have bad reactions when they occur, but never feed into negativity and don’t go seeking out negativity/drama either. 3. You don’t have to put up with bad treatment or poor conditions in real life, unless there’s truly nothing you can do, in which case you would do best to graciously accept what you can’t change. If you can make a change, though, you can do so calmly without any internal negativity required. Keep your inner world clean, peaceful, and happy. Every guy has an idea of what the total package is. I guess you could say it’s similar to a checklist, but men aren’t as rigid as a lot of women can be. Some guys like a soft woman who wants to stay at home and raise the kids. Other men like an ambitious woman who is killing it with her career. Every guy has his type when it comes to physical traits and personality types. If you match what he likes, for the most part, then you will draw his intense interest. What makes a man fall in love is when you are a cut above the rest. It’s about being a high-value woman who is capable of having a healthy, loving relationship. You can’t fake being the total package. You get there by working on yourself and being your absolute best self. This isn’t as easy as it sounds. A lot of us have trouble with vulnerability, probably because we’ve been hurt so badly in the past. In order to set the right foundation for a lasting, loving relationship, you need to be your true authentic self. Men don’t fall in love with an illusion or a facade. A woman needs to be open to love, she needs to be ready for love, she needs to be honest and vulnerable. This is how you form a true connection. This is how you bond in that deep, meaningful way. If you have emotional issues that are getting in the way of your being able to be your authentic self, then the best thing you can do is deal with them, the sooner the better. A relationship is a partnership. It’s about being on the same team, being a support system for one another, and navigating through life’s journey together. Sadly, a lot of relationships devolve into one person being pitted against the other. You need to remember that it’s about working together to live a meaningful life. This means you have a shared vision for the future and you have a lot of common ground. This, couples with chemistry and attraction sets the foundation for a relationship that lasts. And not everyone is a match and that’s OK. Maybe you’re lacking something he needs. Maybe he can’t give you something that you need. It’s best not to take it all personally, it just is what it is. That’s life and that’s love. It won’t always work. Sometimes two people can seem absolutely perfect for one another but the timing is off. I don’t care if he seems like the dream guy you’ve spent your whole life waiting for. If he tells you he can’t be in a relationship right now, believe him and just move on. Can it work out in the future? Maybe. But we don’t live in the future, we live in the right now. When it’s the right time and right person, it all kind of clicks quickly and effortlessly. That doesn’t mean relationships don’t require some degree of effort. You need to work at it. But you won’t even need to force things along. It will just evolve naturally. He feels seen and appreciated for who he is. He feels like a winner in the relationship. He feels like he can make you happy. He loves being around her. She’s the total package plus. She is her true self.